During the Victorian Era of 19th-century, the periodical press for an illustrated magazine was mainly dominated by Once a week, The Cornhill Magazine, and Good Words Magazine. Each magazine was a showcase of the present situation in illustrative forms being published periodically. The Cornhill was publishing illustrated serials where Once a Week was promoting poetry in a visualized form. Good Words also contained miscellaneous literature primarily intended as an improving publication with fine visual material. Scottish Evangelical publisher Alexander Strahan established Good Word magazine in 1860 in the United Kingdom. Alexander’s working was firmly fixed on the working of Christian belief. Norman Macleod was the first editor of the magazine. Good Words magazine was primarily directed at nonconformists and evangelicals, mainly of the lower middle class. Including science, fiction and nonfiction contents on general subjects, the magazine published overtly religious material. Macleod’s visualized images as part of the process of preaching which makes the messages more memorable. This gave the viewer a vivid visual form, ‘the Word made Flesh’. The content of the magazine was designed primarily to support text, the illustration provided strong representation of orthodox Christianity and the travails of believers. The tone of the magazine was somber, depicting the scenes from the Bible, crafting the moments of crisis where characters are challenged by the misfortune of calamity and rediscover their faith and acts of Charity. The content was directed to maintain the belief that the essence of the Gospel composed of the doctrine of salvation by grace through belief and faith in Jesus’s atonement. Even though it was very difficult and tough to publish nonconformist content during British monarchy, the magazine continued its focus on evangelical content and depicting the same message through images. 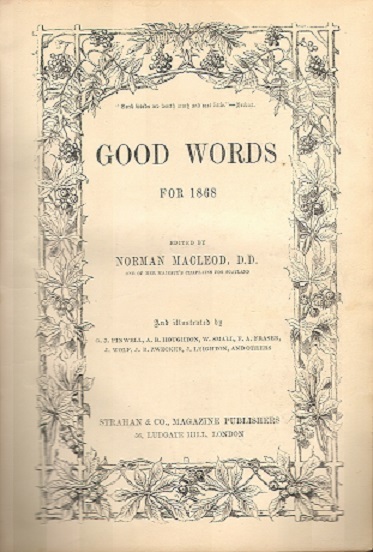 Good Words content was mainly created by artists such as John Everett Millais, Arthur Boyd Houghton, Robert Barnes, Thomas Morten, Edward Burne-Jones, and George Pinwell. The content was engraved by the Brothers Dalziel. There are many unnamed artists who were commissioned to deploy monumental forms and painterly draughtsmanship which were the main characteristic of the Sixties. These all qualities were distinctly emphasized by the solid blocking and bold contrast of white and black. It was a very crucial development when Strahan and Macleod decided to give Dalziel Brother entire control over the artwork. The brothers were far ahead in the wood-engraving art of the time and had a very good relationship with the leading illustrators. The brothers uniquely and efficiently furnished the magazine with a bold and impressive design which made the magazine famous in the space of illustrative content. In 1863, Norman Macleod wrote in the magazine that the same had a circulation of around 70,000 magazines. In 1864, the magazine advertised itself as having a monthly circulation of the magazine of 160,000. 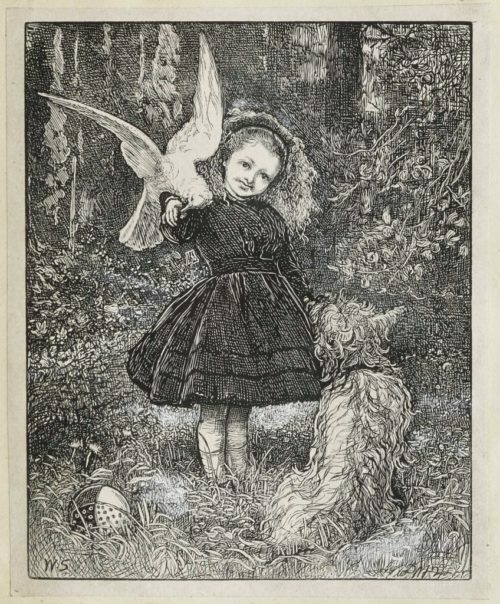 Greatest series of Good Words was Parables of Our Lord mainly created by Millais. This was first published in Good Words in 1863 and later the same was published in the form of a gift book in 1864. This series served as an example of Macleod’s concept of visual telling in a dramatic and imposing way. This also demonstrated the artist’s impressive range of skill and show-cased technical expertise of Dalziel brothers. Even though the magazine was aimed at nonconformist, it was also read by Anglicans. As an act of devotion, they read it on a Sunday evening following worship in church. Norman Macleod died in 1872. After his death, his brother Donald Macleod as the editor. However, it was sensed that at that time the publishing was taken over by other publication named W. Isbister & company. 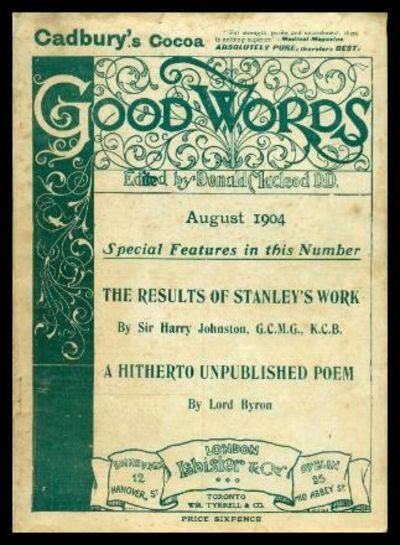 In 1906, Good Words magazine was merged with Sunday Magazine which was the weekly magazine being published. Until 1910 the magazine was published in that format and finally the publication of this Victorian-Era magazine ended.